The Champions Only Barrel 90cm is an incredibly fun and funky cat activity scratching barrel that will inspire your feline friends inspiration as well as cater for all of their natural urges that include playing, scratching, and snoozing! Yes, this incredible multifunctional and multipurpose cat activity scratching barrel has several available uses and has been wrapped in an absolutely stunning and hard wearing carpeted sisal material so that your feline friend has 360° of available scratching surface for them to really get that claws nicely stuck into. Also included, are two carefully positioned cubbyholes where your feline friend can escape to when they fancy having one of their infamous cat naps. Or, if they are not quite ready to close their eyes and drift off into a peaceful slumber, then they can always try and catch one of two crazy little hanging balls that dangle down enticingly! 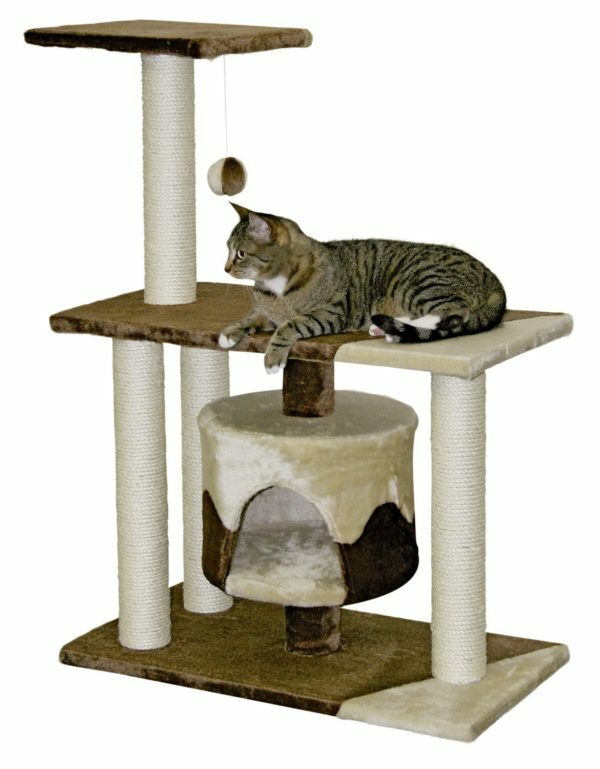 This is an incredibly stylish and robust solution for all of your feline friends every possible desire..